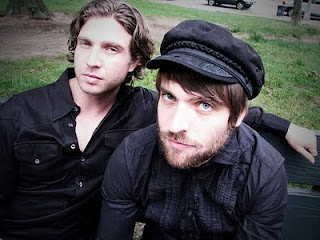 The Upwelling is a brother duo with Ari and Josh Ingber from Queens, New York. 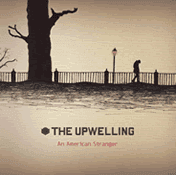 Filled with simple rhymes and almost cliché lyrics, “An American Stranger” by The Upwelling is a witty and a fun compilation of love songs and memories written largely by Ari. "Josh played a vital part in creating the songs, though mainly as an editor," Ari Ingber said. "I usually come to him with number of ideasand bounce them off him and he helps me clarify my ideas." While the album appears transparent on the outside, the lyrics are rooted on a very personal level. "The only thing that I've discovered that 'all' the songs are about, iscontrast. Darkness and light, good and evil,beauty and ugliness . . . I've found this yin and yang theme in all of oursongs and I believe a lot of it has to do withmy personal philosophy," Ari said. "As a relativist I find myself searching extremesand the likeness between them tounderstand truth. Therefore, I'd say yes to some degree all of the songsare about my personal experience or atleast my world view." On the wake of 9/11 and living in New York City, Ari wrote “Ladder 116,” an almost, Pink Floyd type of song, which is a tribute to the men and women that lost their lives. "Since 9/11, my life changed dramatically," Ari said. It was this song that his brother took a plane from Washington D.C. to work together on their first EP. Working from their studio basement, it took nearly nine years for the album fully materialized. As a comparison, some of The Upwellings similarities are a mixture of Third Eye Blind, The All American Rejects, and with the voice of Dave Grohl of the Foo Fighters combined into one. But, this multi-layered band has their own uniqueness listeners can embrace beginning with, “I Love that Girl”, “Murdered by a Big Bomb”, and especially the emotionally filled, “Ladder 116” which is a powerful song that will bring out the emotion of every individual who was ever affected by 9/11. "We recorded a 5-song EP that organically won us anumber of fans including some well-known musicians. We toured all over America a number of times and Europe four times without a label or agent or anythinglike that. We built a little fan base all over the world. We later got a record deal and made our first record that I could not be more proud of with the help of a number of great musicians and engineers who were all very passionate about our music." For more information on The Upwelling go to their website for tour dates and purchase their music.